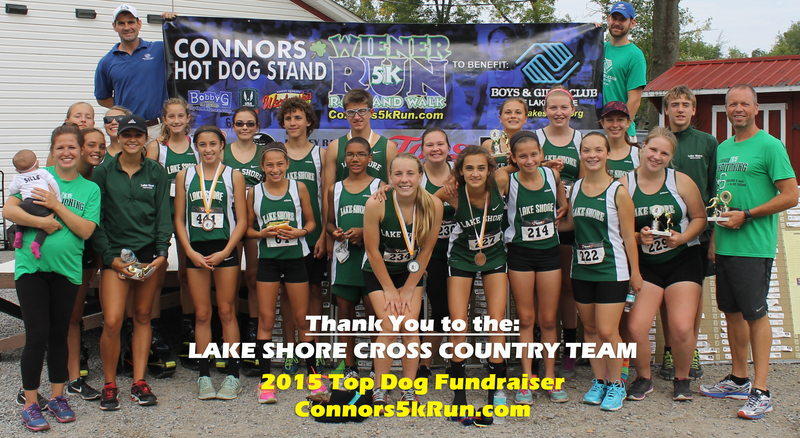 Thank you to the Lake Shore Central Boys & Girls Cross Country Team for being the biggest fundraiser of all the teams competing at the 6th Annual Connors 5k Wiener Run & Walk for the Boys & Girls Club of Lake Shore on Saturday-September 19, 2015. Each team member received a complimentary 2016 race t-shirt pre-printed to show them off as Top Dogs to support the Boys & Girls Club of Lake Shore. Save the date for next year’s race: Saturday-September 17, 2016. See you then! 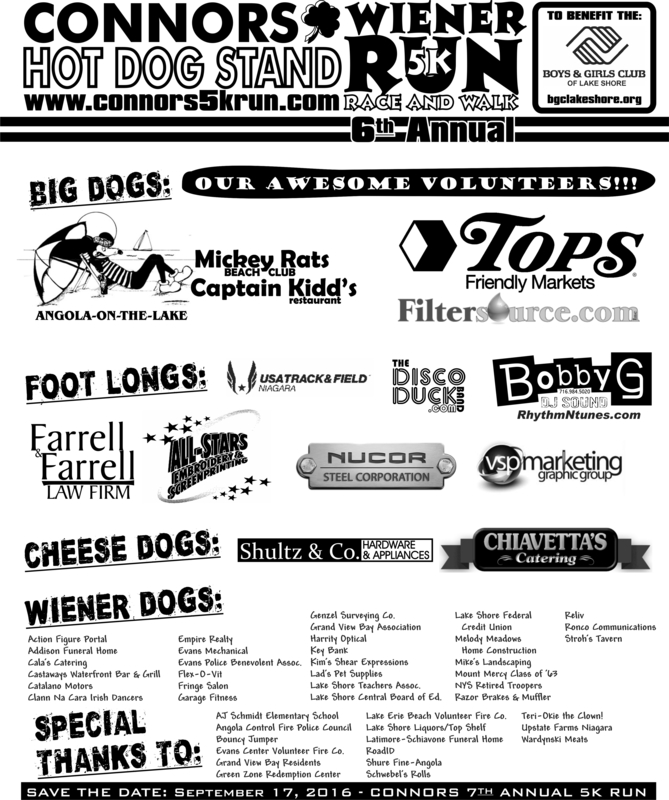 ← REGISTER ONLINE NOW FOR THE 6TH ANNUAL 5K WIENER RACE!! !